Just one sheet is cut and folded to create the Nativity Triptych. This animation shows that four folds is all that's needed to "assemble" the Nativity Triptych. 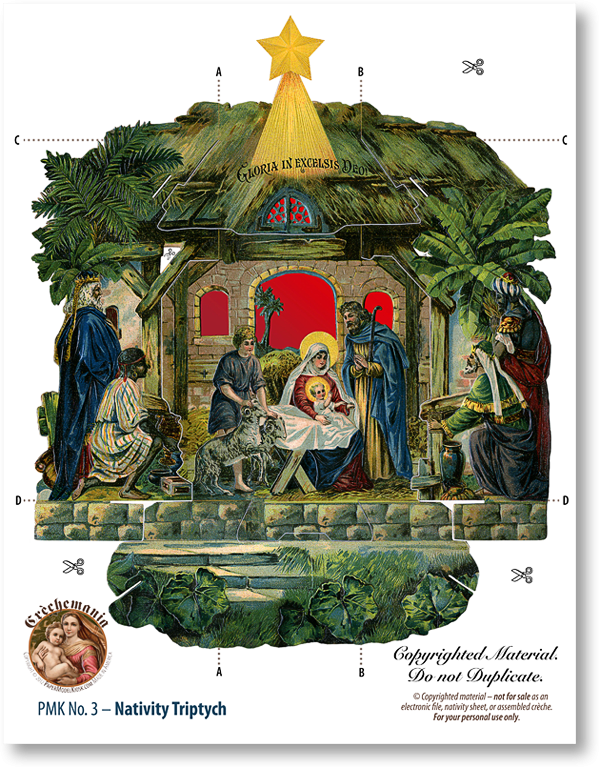 A Premium Download and a quality 8.5 x 11 Printed Sheet of the Nativity Triptych. 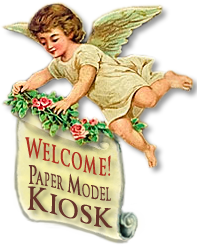 A PDF page of instructions is inlcuded, but you won't need them: cutting and four folds is all that's required for assembly.